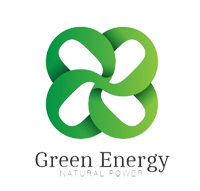 We understand the importance of when trying to achieve an organization’s green objectives. We believe in supporting sustainable growth of the internet of things, environmental aspects, social responsibility of business, sustainable development and green technology. We support a number of charities through our portfolio companies. Since 2016, the OiiO Foundation has donated more to Science, Engineering, Technology, Research & Development, Humanity, Innovation & Invention and Alternative Energy projects. In recent years, our social responsibility program has been focusing on Techonology, Huminity. We also started investing into applied research and development of pharmaceutical preparations and products based on human cells, which significantly improve the quality of life of patients suffering from difficult to cure conditions.